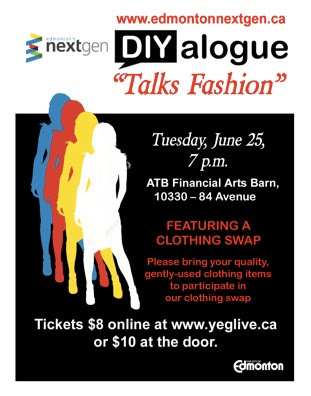 I am very excited to announce that I will be part of Edmonton's Next Gen DIYalogue Talks Fashion event on June 25 here in Edmonton. Tickets are $8 in advance or $10 at the door, and here you can find the Facebook event. I'm billed along with some big names in Edmonton's fashion scene — including Janis of Dress Me Dearly, the ladies behind the custom footwear company Poppy Barley (think eShakti, but for shoes) and Caroline Gault, FASHION magazine editor for Alberta — so I hope I get a chance to pick their brains during the break. I hope any readers I have in the area can come, especially if I haven't met you yet! I'll be tossing in some goodies for a door prize, and hopefully can find some things for the clothing swap. How thoroughly exciting! If I lived in Edmonton (or anywhere even remotely nearby) I'd my buying my ticket right this moment. 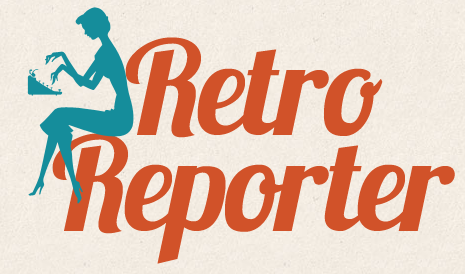 Hope you have a blast at this cool event!